This Standard applies to new construction and covers pressure-temperature ratings, dimensions, tolerances, materials, nondestructive examination requirements, testing, and marking for cast, forged, and fabricated flanged, threaded, and welding end and wafer or flangeless valves of steel, nickel-base alloys, and other alloys shown in Table 1. 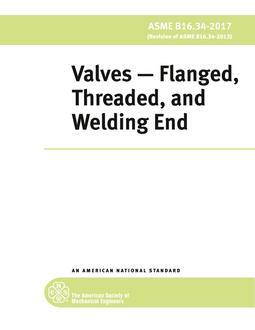 Wafer or flangeless valves, bolted or through-bolt types, that are installed between flanges or against a flange are treated as flanged-end valves. 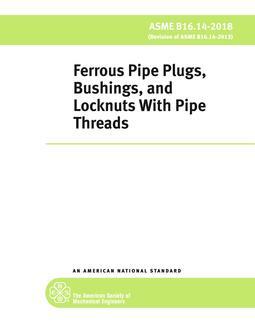 Alternative rules for NPS 2½ and smaller valves are given in Mandatory Appendix V.
1.2.1 Standards and Specifications. Standards and specifications adopted by reference in this Standard and the names and addresses of the sponsoring organizations are shown in Mandatory Appendix VIII. It is not considered practical to refer to a specific edition of each of the standards and specifications in the individual clause references. Instead, the specific edition references are included in Mandatory Appendix VIII. A product made in conformance with a prior edition of reference standards and in all other respects conforming to this Standard shall be considered to be in conformance even though the edition reference may have been changed in a subsequent revision of this Standard. 1.2.2 Time of Purchase, Manufacture, or Installation. The pressure-temperature ratings included in this Standard are applicable, upon publication, to all valves covered within its scope that meet its requirements. 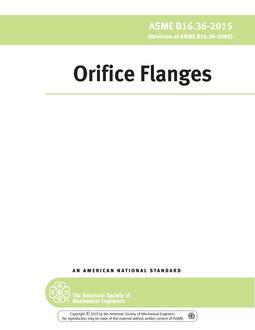 For unused valves, valves that have been maintained in inventory, the manufacturer may certify conformance to this edition provided that it can be demonstrated that all requirements of this edition have been met. However, where such components were installed under the pressure-temperature ratings of an earlier edition of ASME B16.34, those ratings shall apply except as may be governed by an applicable Code or regulation. 1.2.3 User Accountability. This Standard cites duties and responsibilities that are to be assumed by the valve user in the areas of, for example, application, installation, system hydrostatic testing, operation, and material selection. 1.2.4 Quality Systems. 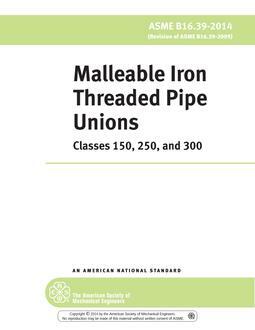 Requirements relating to a valve manufacturer's Quality System Program are described in Nonmandatory Appendix C.
1.2.5 Relevant Units. This Standard states values in both SI (Metric) and U.S. Customary units. These systems of units are to be regarded separately as standard. Within the text, the U.S. Customary units are shown in parentheses or in separate tables that appear in Mandatory Appendix VII. The values stated in each system are not exact equivalents; therefore, it is required that each system of units be used independently of the other. Combining values from the two systems constitutes nonconformance with the Standard. Criteria for selection of valve types and materials suitable for particular fluid service are not within the scope of this Standard. For determining conformance with this Standard, the convention for fixing significant digits where limits (maximum and minimum values) are specified shall be as defined in ASTM E29. This requires that an observed or calculated value be rounded off to the nearest unit in the last right-hand digit used for expressing the limit. Decimal values and tolerances do not imply a particular method of measurement.